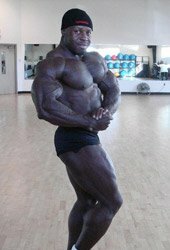 Heavyweight Champion Jojo Ntiforo Preps For Inaugural IFBB Houston Pro! 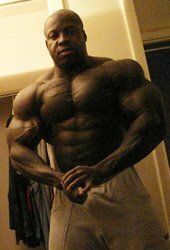 The unanimous winner of the NPC National Heavyweight Division in 2002 was Jojo Ntiforo. This July he'll compete at the Houston Pro as one of the favorites. 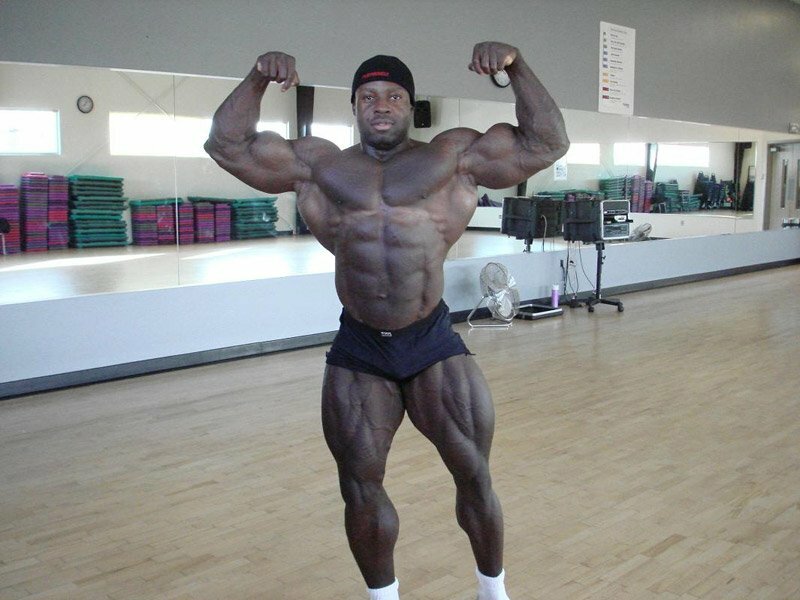 Meet Jojo Ntiforo and see how he trains for a pro show. 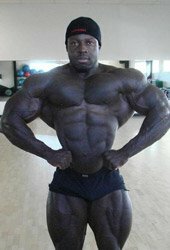 Jojo finished in the top 15 at the 2008 Iron Main Pro. Jojo trained Steve McMurtry who went on to win the Overall Masters. He got to the pro level by doing things instinctively. 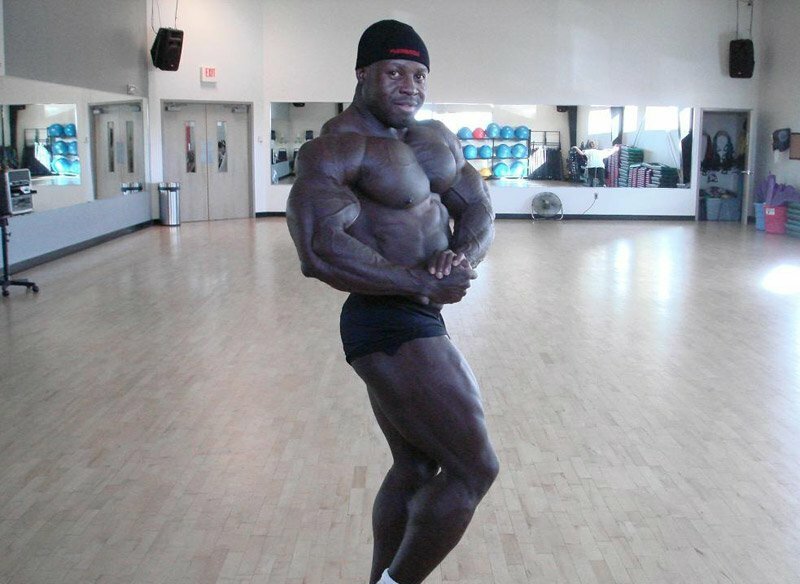 The unanimous winner of the NPC National Heavyweight Division in 2002 was Jojo Ntiforo (pronounced N-tif-or-o). 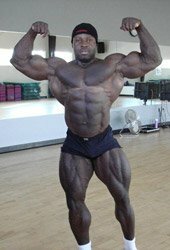 This February he competed at the Iron Man Pro Invitational, his first show since 2005 due to injury. This July he&apos;ll compete at the Houston Pro as one of the favorites to qualify for the Olympia. Meet Jojo Ntiforo. [ Q ] What kept you away for so long? [ A ] Injuries. But I&apos;ve used the time to gain more muscle. I&apos;ll step on stage at 245 to 248 lbs this year, and I turned pro at 213 lbs. My waist is about the same size though, so I haven&apos;t sacrificed my X-frame. I&apos;ve Used The Time To Gain More Muscle. [ Q ] How did it feel to get back on stage this year? [ A ] It felt great. I finished in the top 15 at the Iron Man. I over did the cardio and didn&apos;t fill out enough before the show, or I think I would have done a lot better. I should be 10 to 15 pounds heavier for the Houston Pro with at least the same conditioning. Jojo Ntiforo At The 2008 Iron Man. View More Pics Of Jojo Ntiforo At The 2008 Iron Man. [ Q ] How did you make such big gains in such a short time? [ A ] The best time to grow is right after a show. Putting yourself through contest preparation gets your body into a negative state, so you&apos;re primed to gain weight. So if you eat clean and get back in the gym right away, you can gain some quality muscle. It&apos;s really worked for me well in the past, and it did this year too. I had 4 months before the Houston Pro, so I kept my diet pretty strict and trained heavy. I increased my calories, but I was careful not to let my body fat get out of control. Taking that approach I got up to 272 before I started pre-contest again. I&apos;ve been as heavy as 285, but I was a lot harder at this weight than I&apos;d been in the past. [ Q ] What would you tell other competitors about post-contest? [ A ] You&apos;re going to want to just eat and enjoy yourself. But starting a mass-building program is the smart thing to do right after a show. So get right back in the gym the following week. You don&apos;t have to train with as much intensity right away, but you do want to stimulate the muscles. You also need to eat to start growing. You&apos;ll see the best gains within the first 8 weeks to 3 months. Then you can start maintaining or sculpt what you&apos;ve built. [ Q ] Describe Heavy Training. [ A ] I still believe in training heavy. I&apos;ve always trained heavy, but I&apos;m a little more cautious in warming up now because of the injuries I&apos;ve had. My movements are much stricter now because I&apos;m being careful. But the weight is still extremely heavy. That&apos;s when I build the most muscle and my physique looks the best. I enjoy training heavy. Training heavy for me is - I&apos;m not Ronnie Coleman - bench pressing with 405 for 8-10 rep range, dumbbell inclines press with 160, deep squats with 500 lbs., weighted chins with 90 pounds of additional weight. Usually I do some cardio too - for 2-3 days a week for short periods of time. It helps in recovery, but not enough to put my body into a depleted state. I train heavy year round. But I do cycle it to a certain extent. Instead of doing 405 for 8-10, I&apos;ll do 310 for 15 to 20. Or I&apos;ll take a week off to let everything kind of recover. [ Q ] How much time do you need for contest prep? [ A ] For Houston I started my diet 8 weeks out, because that&apos;s all that I needed. Sometimes I&apos;ll start as far out as 12 weeks. I calculate protein and carbs, not calories. I don&apos;t believe in extremely high protein. I do 350 to 375 grams. This time I kept my carbs higher too. Far Out As 12 Weeks. [ Q ] Seems like you&apos;re still trying new things. [ A ] I&apos;ve been a pro for 6 years now, but I&apos;m still tinkering. A lot of things come full circle. I got to the pro level by doing things instinctively. Once you get to the pro level, you seem to get a lot of advice on all the things you need to do. I made the mistake of believing these guys. It was a mistake because they didn&apos;t know my body. I find myself coming back to the stuff that worked for me in &apos;99 when I started. What worked for me then works for me now. For instance, people tell me that I shouldn&apos;t eat steak. But steak is what my body responds best to. Without it I tend to feel tired. It&apos;s definitely noticeable to me. My body also responds well to having flaxseed and almond butter, but I also find I need to keep carbs in my diet. A lot of people think you have to get rid of both. I keep pineapple in my diet all the way through and to eat rice and sweet potatoes, but that is what works for me and it makes a big difference in my physique. I&apos;ve gotten a lot of input and feedback, but I&apos;ve still never worked with a trainer or nutritionist. If you&apos;re going to be successful, you&apos;ve got to develop your knowledge or your own body. If I make a mistake or mess up, I feel like I should take responsibility for that, not somebody else. Then Works For Me Now. [ Q ] How has your training changed over the years? [ A ] I used to train with a partner a lot more than I do now. I used to train with brother Korbie all the time, but now our schedules are very different and we don&apos;t get to train as often together. [ Q ] Have you trained anyone? [ A ] Yes, I enjoy doing that. I had a client who won the Overall Masters and took 2nd in the open light-heavyweight (Steve McMurtry). I&apos;ve had a number of others that I&apos;ve worked with to get them ready for regional shows. I&apos;m definitely looking to train more competitive athletes. Those are the people I like training the most... bodybuilders, or competitive sports like track, wrestling or Martial Arts. I&apos;ve never felt good about putting someone in complete control of my body, so I try to work with them so they can understand their own body. Nobody knows how important that is better than I. You can reach Jojo at www.jojontiforo.com, or email him at bigjonan28@yahoo.com.